3 days of inspirational and innovative content for educators of all levels. 75+ speakers, 100+ conference sessions and 100+ brands from more than 15 countries. All our content is free of charge and we bring together engaging industry leaders from around the world and influential local practitioners to present a combination of inspirational talks and dynamic, hands-on workshops. Designed for teachers of all levels and abilities, our collaborative and innovative sessions will allow you to take home practical teaching methods, to use in your classroom immediately. It’s important to use to provide the most relevant and up to date content for our audience of educators. The topical conference programme this year has evolved through speaking to members of the teaching community to ensure that we have the speakers and topics that really matter to you. We know that it’s important to you to source the latest educational products out there, only at GESS Indonesia can you experience a wide range of educational products from international and local suppliers. Our exhibition offers educationalists exposure to the latest innovations in educational products and services, as well as live demonstrations from global market leaders. 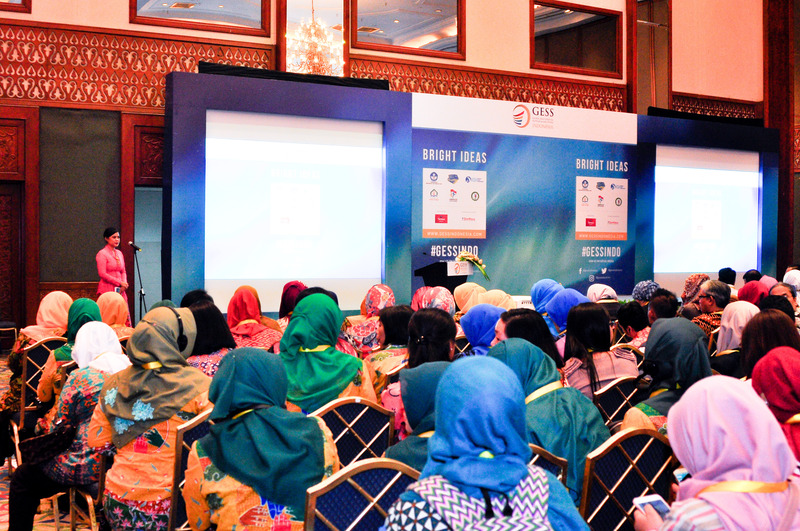 With more than 12 years’ experience of the global education market through our international portfolio of education exhibitions, GESS Indonesia provides an unrivalled conference programme with content tailored to you. See influential speakers who are helping to push the education agenda forward and be inspired by our unique mix of local and international exhibitors.